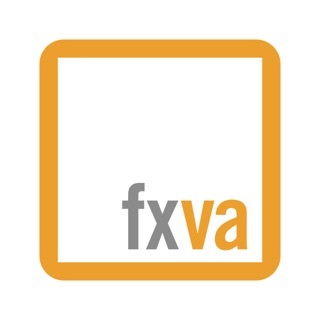 You'll also find Events, Itineraries, Trails, and Featured Destinations to add to your travel list. 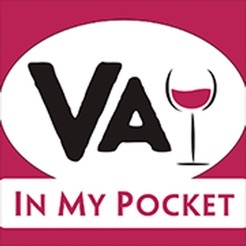 Virginia Wine in My Pocket is the ultimate guide for discovering the best of Virginia. 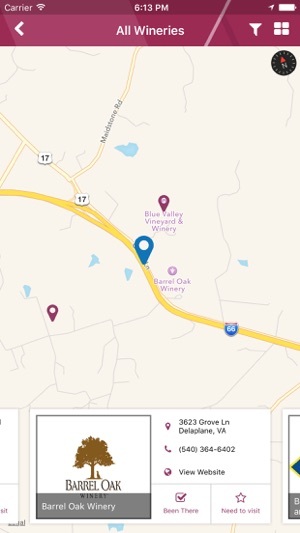 This used to be a great app for discovering wineries but in iOS 11 and iOS 12 it just crashes on startup on both ipad and iPhone. 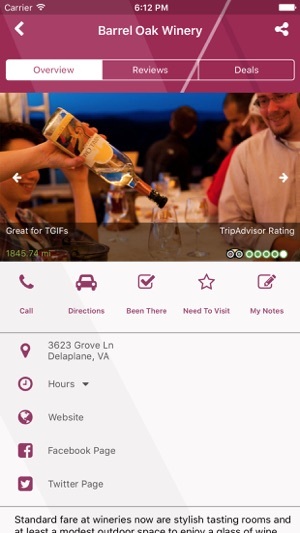 This app is a must have for anyone wanting to explore the wonderful world of VA wine country. 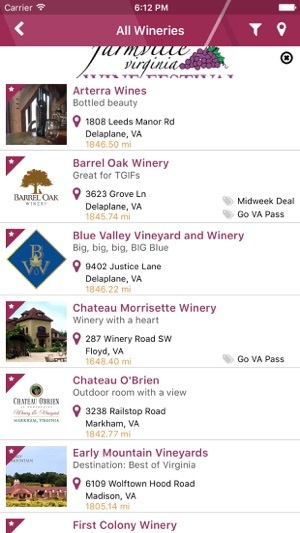 Well worth the price for the explanations and break downs of all of the fabulous wineries in VA. Not only do you need this app you need to come to VA and discover the world class wines that are being produced in the home state of Washington, Jefferson, and Madison among others. 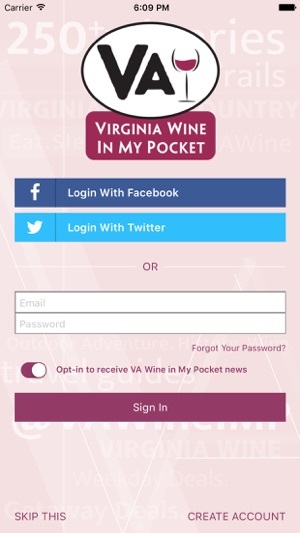 Don't be the last to the party... VA wines are competing and BEATING CA and French wines day in and day out. 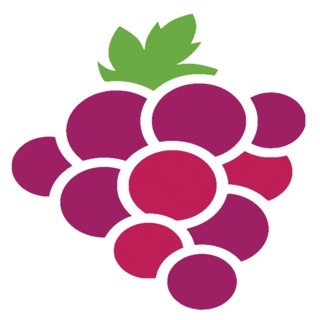 Reds, whites... Doesn't matter. 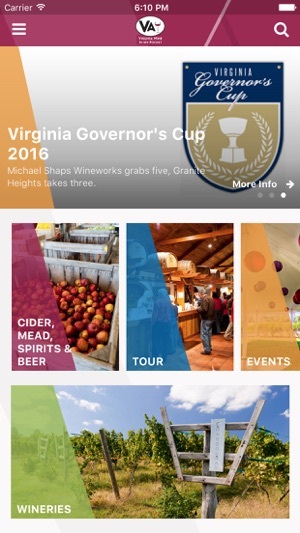 This app covers every single winery in VA and is constantly being updated with customer reviews and as new wineries open. You won't be disappointed.